Do you want to save your emails in a much more readable format and organize them for easy retrieval? Do you want to convert archive emails and attachments to doc format? 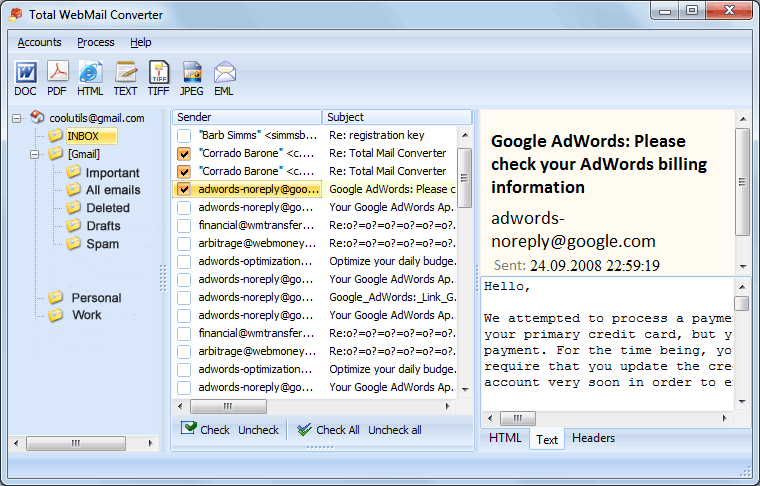 Coolutils presents you with Total WebMail Converter Pro - your ultimate solution for converting emails to documents. Now you can archive, export and save all your emails as doc files with no more than just a click. 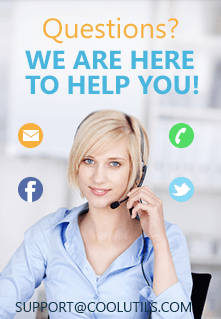 Did we tell of the best thing about Total WebMail Converter? It lets you work with both email bodies and attachments making all your jobs way easier than they used to be. 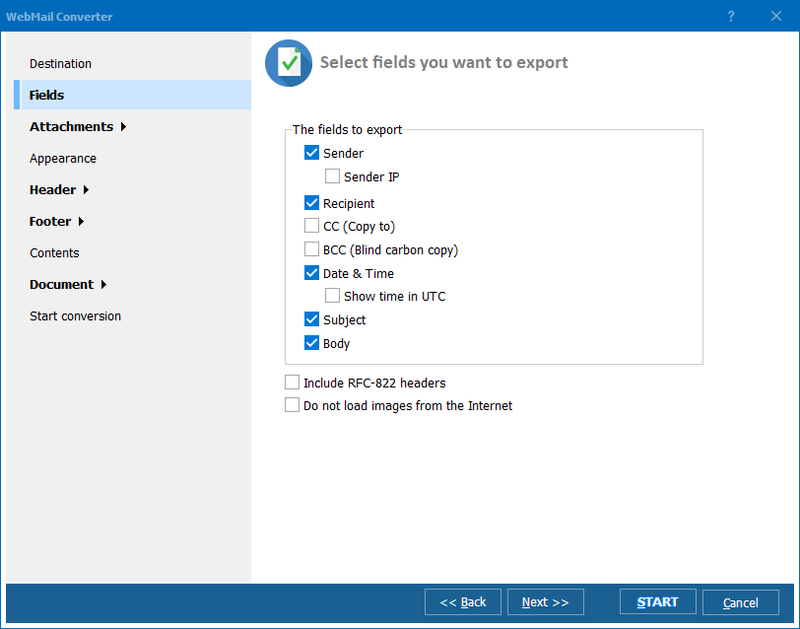 You can either choose to export exchange emails as doc or convert a batch of emails into a single document at a go. A built-in renamer lets you choose the name of the resulting files by yourself for easy identification and retrieval. 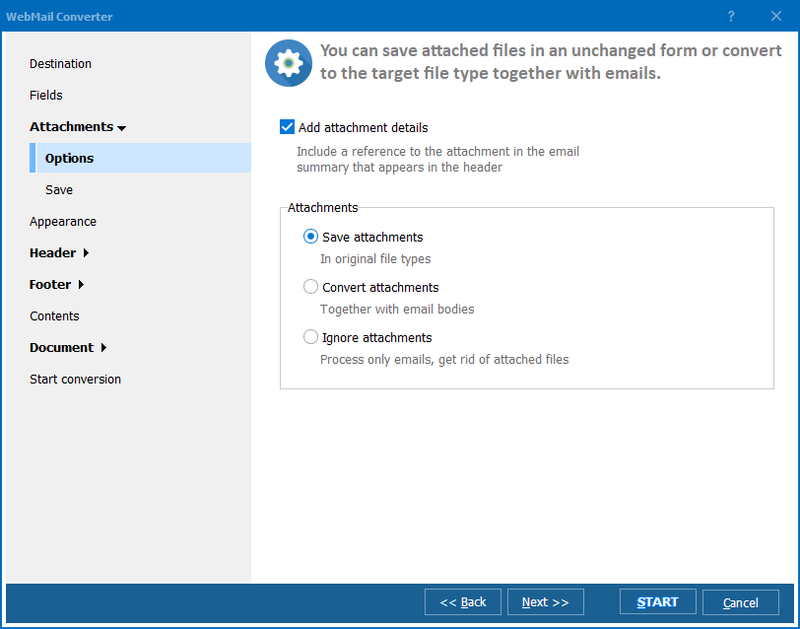 Converting attachments as well as email bodies has never been this easy. You can either attach files as embedded content to the output document or as clickable links. You can do a variety of watermarking on the resulting documents. You can brand them with the company logo, print background images, include images in the header and footer, stamp bates number and add legal stamps very easily. Total WebMail Converter Pro comes with an interactive GUI as well as a powerful command line mode to suit all types of usage scenarios. Total WebMail Converter Pro from Coolutils packages all these amazing features and more into virtually all types of licenses. It also comes with additional perks. Choose the licensing that suits your needs and you get free technical support and major upgrades free of charge for a year. Simply save exchange emails as doc on the go - download the 30-day free trial version of the program!